If you have possibility to support this project monetarily, please do - in any case, please promote the project by spreading information about it. This project will only be funded if at least $168,500 is pledged by Sat, Nov 22 2014 3:21 AM +02:00. 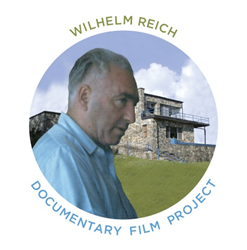 Psychiatrist/Scientist WILHELM REICH is the subject of Kickstarter Documentary Film Project and Harvard University Press's Upcoming Book, "WILHELM REICH - BIOLOGIST"